It’s impossible to have concrete confidence without right mindset. This audio course will help you with setting up the right mindset and tools for gaining confidence. You will learn benefits of positive affirmations and why it’s crucial to have a positive mind and attitude to be successful. Also, you will get tips how to use self-affirmations as a tool to gain confidence. 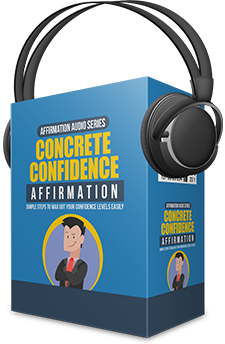 Within this product, you’re going to get a 6-part audio series showing you how to gain confidence with the right mindset.